Do Castle‘s Kate and Castle really hate each other in real life? It’s only been a little over 24 hours since we found out Castle fan favorite Kate Beckett is leaving the show — and now we may know why. Rumor has it that Kate and Castle’s offscreen relationship is nothing like their wedded bliss in the series. In fact, an inside source says that Stana Katic and Nathan Fillion — who play Kate and Castle, respectively — were arguing so much behind the scenes that production had to take desperate measures to try to preserve the show. Couples counseling… for real? You can’t say they didn’t try. Us‘ source also added that Katic was often in tears because of her interactions with Fillion. 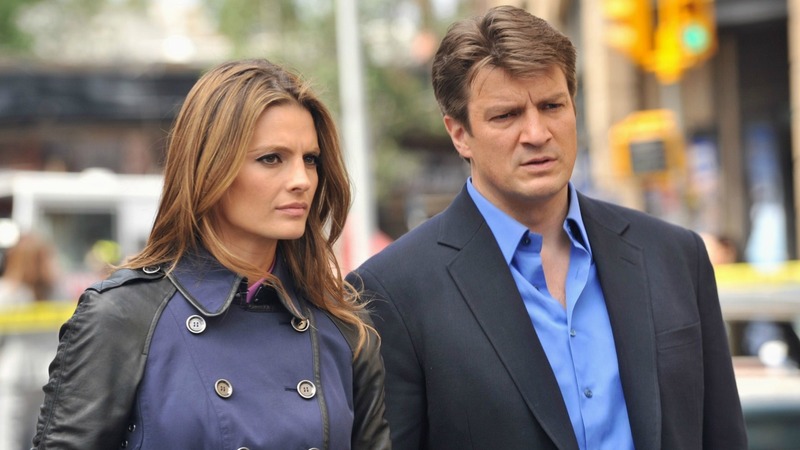 It seems on the surface that Katic and Fillion’s adversarial relationship may be the reason for her departure, but The Hollywood Reporter reports that ABC might actually be ending Katic’s run on the show to cut costs — which also explains why Tamala Jones’ character Lanie Parish was written out of the series. Whatever the reason for Katic’s departure, fans are so not having it. Many are saying they would rather just have the show end altogether than see Kate/Katic exit. And fans on Twitter echoed the sentiment. @Stana_Katic Castle is NOT Castle without Beckett… I watch because of you…you make the show!!! @Stana_Katic is this like a late April fools or are people really stupid enough to think the show will be any good without you? No @Stana_Katic no #Castle . I don't wanna watch the show if she isn't in it. What do you think of Katic leaving the show? Will it last without her?